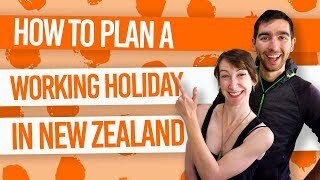 If you’re living in the 21st century, then you will need to get yourself a phone in New Zealand, should it be to connect with people along the way, plan and book your activities and accommodation, or look for a job to stay longer in the world’s most epic country. Here, we’ll look at the best phone networks in New Zealand. Because New Zealand has a lot of cellphone network providers all with different and ever-changing offers, this article focuses on a basic comparison and gives a general idea of pricing. We will go through three common scenarios based on common backpacker cellphone uses to give you a general idea of the options that will be available to you when landing in New Zealand. Each scenario will have a price range by companies so you know what to budget for. Make sure that you are familiar with the different cellphone carriers by reading our Cellphone Networks in New Zealand article. And have you checked Will Your Phone Work in New Zealand? Prepay: This is a type of phone plan that has no contract. You pay as much or as little in advance towards you phone bill. For more info on Prepay, read 5 Reasons to Choose a Prepay Plan. Plan: It is a general term for the offer that you will be using to use your phone. It is often monthly but can also be weekly. Pay as you go: Paying per text, call, data usage at a flat rate. It is the opposite to a “plan”. Combo: It is a type of Prepay Plan. Each cellphone carrier offers multiple combos on their prepay offer to suit different needs. Combos are also known as “Bundles”, “Value Packs” or “Packs”. Add-On: An Add-On is an extra small bundle added to a Combo to complement it. Let’s say that you are running out of data before the end of a month, you can get an Add-On of data to keep surfing our awesome website. Mb: Mb stands for Mega Bytes, this is the unit of measure for any data charge on a plan. If a plan includes 1gb of data, this equivalent to 1000mb. Min: Min stands for “Minutes”. This is the unit of measure for any call charge on a plan. If a plan includes 1 hour, this equivalent to 60 minutes. Note that all mins mentioned below are minutes spent calling New Zealand numbers, not overseas. Text: Those are text messages sent from one phone to the other. Be aware that picture texts are called MMS and do not fit in this category. When are you charged? In New Zealand you will only be charged a minute or a text when you are calling or texting somebody. You are not charged when receiving a phone call or a text. Note that minutes and text prices above are for call and texts from New Zealand numbers to New Zealand numbers. For travelling and finding a job, you will need to make phone calls to either activity and accommodation providers if you are travelling or employers and accommodation providers when looking for a job. In this option, we assume that the online part of the job search can be done using the many WiFi spots offered by hostels, libraries, cafes, etc. For this specific example we have chosen offers a for a minimum of: 200 min, unlimited texts and 1 Gb of data. This option focuses on data, either to stay in touch with home using WhatsApp, Skype and Facebook or because you cannot get enough of our great content to plan your trip on the go. Keep in mind that there are no “Unlimited data” plans in New Zealand and that the average traveller only uses about 1.5Gb of Data per month. 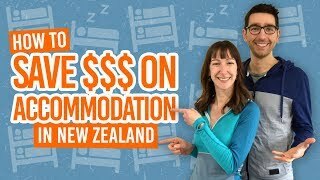 It is quite easy to find WiFi in New Zealand both in hostels and on the go. For this specific example we have chosen offer a minimum of: 60 min, unlimited texts and 2Gb of data. A great option for the money-savvy; choose this option if you are looking to get the more bang out of a few bucks. Being able to call from time to time and check the Internet if needed are all that is included in this option. Most people with a basic phone (as opposed to a smartphone) will choose this option as most basic phones do not have much internet connectivity. For this specific example we have chosen offer a minimum of: 50 min, 50 texts and 250mb of data. Calling overseas is not included in any Prepay plan in New Zealand. Most travellers will choose to use either Whatsapp, Skype, Viber or Facebook to call overseas. Calling using any of these apps will use your data rather than your minutes. However, if you would like to call overseas via traditional phone call, there are multiple options. Every carrier has a different “Overseas” minute add-on, for instance Skinny offers 300 minutes to 20 selected countries for $10 and Spark offers 200 minutes + 100 Text to 20 selected countries for $10. Calling cards are your final option for calling overseas. These can be purchased in convenience stores. They offer cheap calling rates to selected countries. This will still use your minutes on top of an extra small fee. Calling Australia? Good news, most New Zealand networks include Australia in their “NZ minutes”.